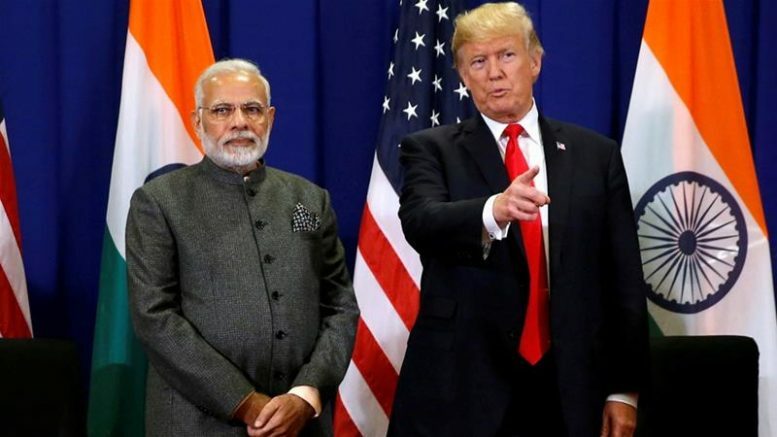 At President Donald Trump’s direction, the United States intends to scrap the preferential trade status granted to India and Turkey, the US trade chief’s office has said. Washington “intends to terminate India’s and Turkey’s designations as beneficiary developing countries under the Generalised System of Preferences (GSP) programme because they no longer comply with the statutory eligibility criteria,” the Office of the US Trade Representative said in a statement on Monday. India has failed to provide assurances that it would allow required market access, while Turkey is “sufficiently economically developed” that it no longer qualifies, the statement said. India exports $5.6bn worth of goods to the US duty-free, making the South Asian nation the world’s largest beneficiary of the GSP programme. Ending India’s participation would be Trump’s strongest punitive action against New Delhi since he took office in 2017. Reacting to the move, a top Indian trade official on Tuesday said New Delhi does not plan to impose retaliatory tariffs on US goods. Commerce Secretary Anup Wadhawan said the withdrawal of the GSP for Indian products would have limited impact. The two countries had been working on a trade package to address each other’s concerns, he said. New Delhi hoped the planned withdrawal of the preferential trade treatment to India would not lead to trade hurdles, an Indian government source said, adding that the “actual benefit” to India was only $250m a year. “GSP is more symbolic of the strategic relationship not in value terms,” the source told Reuters news agency, declining to be named ahead of a press briefing by the Indian trade ministry. Be the first to comment on "USA set to end preferential trade status for India and Turkey"